Scientists are in the process of restarting the Large Hadron Collider, the most powerful atom-smasher ever built, hoping to make history for the second time in two years. The first of two high energy particle beams is being “threaded” in an anti-clockwise direction through the LHC’s 27 kilometres (16.7 miles) of circular underground tunnels. Once both beams are flying around the whole circumference of the giant £3.74 billion machine straddling the Swiss-French border the “restart” will be complete. Earlier, Frederick Bordry, director for accelerators and technology at Cern, the European Organisation for Nuclear Research, handed out Easter eggs to tense staff in the LHC control room. 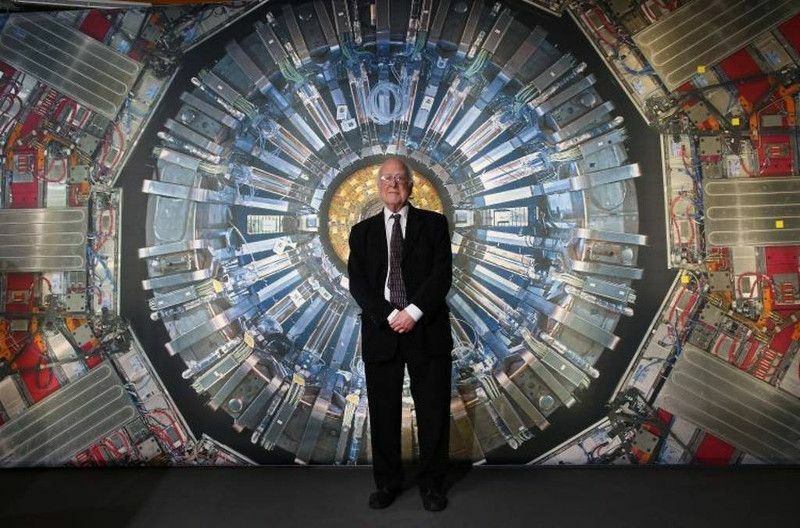 Two years ago the LHC team, which includes a number of British physicists, astounded the world with the discovery of the Higgs boson, an elementary particle that gives other particles mass. Now the scientists have their sights set on an even more exotic trophy – dark matter, the invisible, undetectable material that makes up 84% of matter in the universe and binds galaxies together yet whose nature is unknown. With its beam energy level raised to 13 tera-electron volts (TeV) it is conceivable that the LHC will capture dark matter, marking a leap forward in our understanding of the universe. Arnaud Marsollier, from Cern, the European Organisation for Nuclear Research in Geneva, which operates the LHC, said: “The LHC will be running day and night. When we will get results we don’t know. What is important is that we will have collisions at energies we’ve never had before. A technical hitch had delayed the restart of the LHC after a two year re-fit and upgrade almost doubling its power. An electrical short circuit prompted fears that operations could be put back weeks or even months. However, engineers quickly located the problem – a small piece of metal debris – and removed it. The restart will involve relatively weak beams of protons, the ”hearts“ of atoms, being sent around the tunnel ring in both directions. But it will be some weeks before the beam energy is ramped up to its target level of 13 TeV. The first collisions between the particles, marking the start of a new phase of LHC experiments, will not take place until June. They will take place in four giant detectors placed around the beam ring, sparking the creation of new particles and allowing scientists to peer deep into the fundamental building blocks of nature. The search for dark matter involves stepping outside the Standard Model, the all-encompassing theory that describes the particles and forces of nature that has stood firm for the past 50 years. A ”new physics“ model of the universe called supersymmetry predicts that every known particle has a more massive partner – and one of these elusive supersymmetry particles might be the source of dark matter.